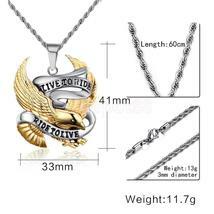 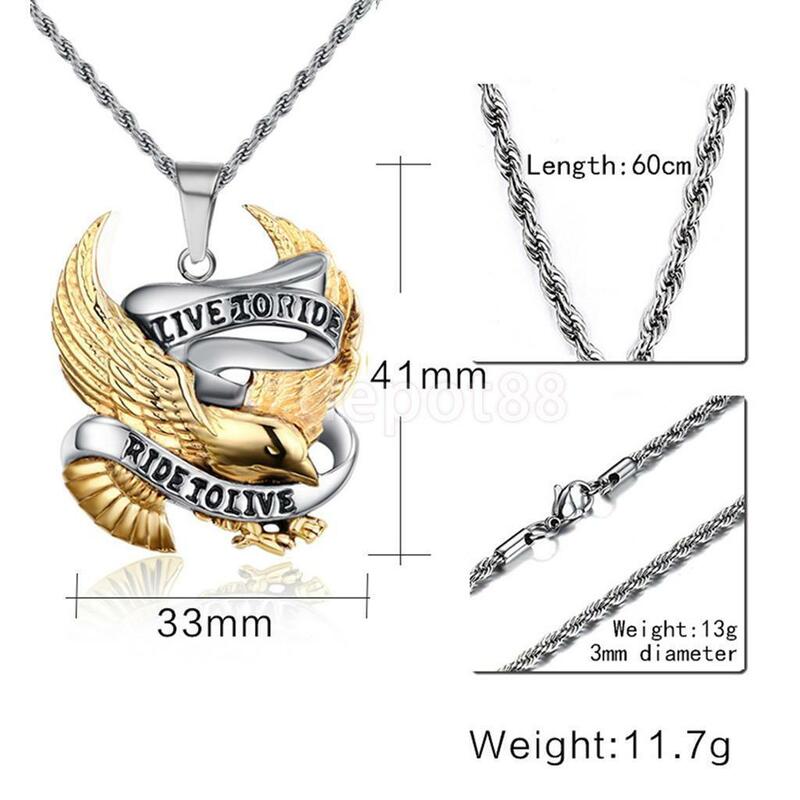 Pendant Crafted of 316L Stainless Steel High polish finish Pendant dimensions: 33.0 mm wide x 41.0 mm long Chain dimensions: 4.0 mm wide x 24 inches long Complimentary gift box included Show off your biker pride with this magnificent 316L Stainless Steel pendant. 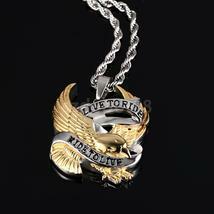 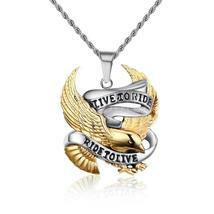 This pendant showcases the Live to Ride, Ride to Live Eagle design in great detail. This highly polished pendant is strung on an 18 inch black genuine leather cord that secures with a rhodium plated brass and steel lobster claw clasp. 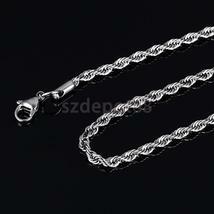 ---Why Choose Stainless steel? 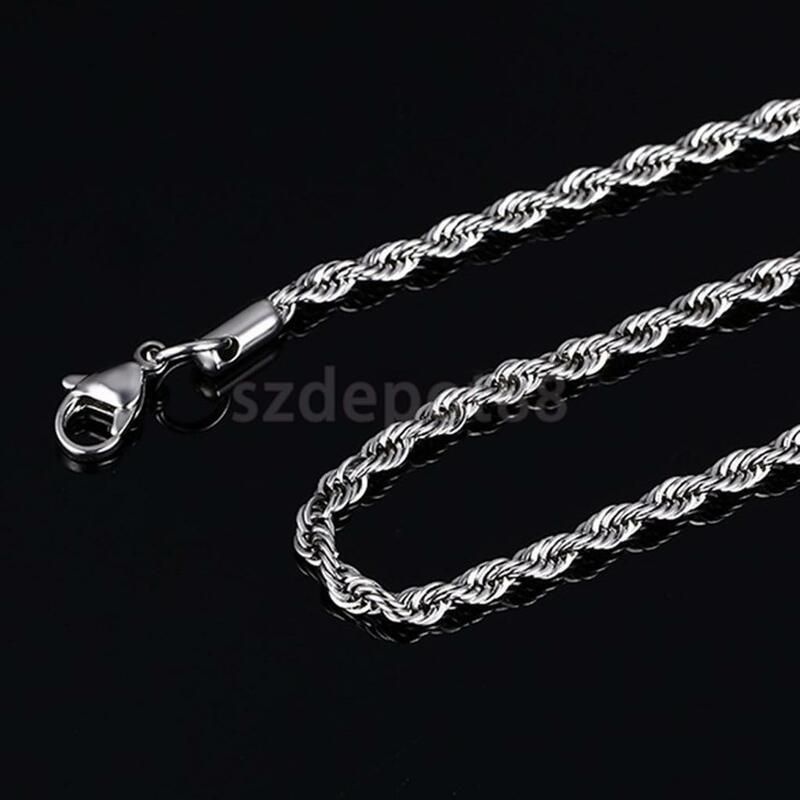 Stainless Steel is a very strong metal, as is evidenced by its use in manufacturing, cooking and a variety of other high-demand industries. 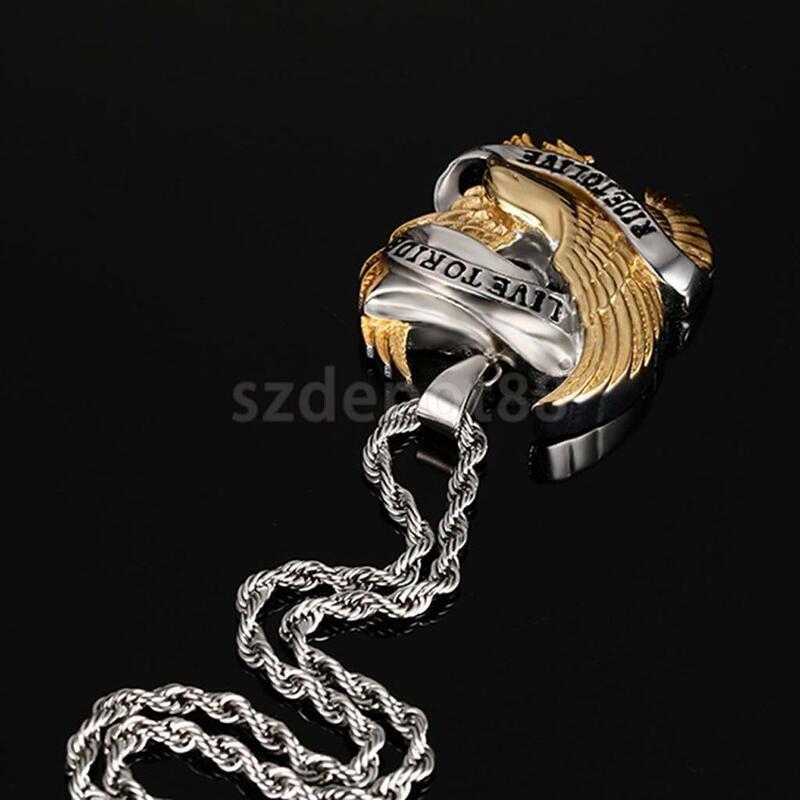 Because stainless steel is so durable, jewelry designers have been using it in the production of wristwatches and other items likely to receive abuse during normal wear for quite some time. Stainless steel pendants are great if you are looking for an accessory that will not tarnish and resists scratches, dents, damage, and will retain its luster without any maintenance.